My husband and I cannot express how much Dr Silber and staff helped us bring another baby into our family. We first went in and went thru the mini ivf. And with that had success with our baby girl Gabriella Grace. We had our last embryo frozen, and couples years later we went back to Dr Silber, and thankfully it was another great success. Everything went great and smooth for both transfers. We had our baby boy. Leelan Jace Quinones. We are so happy and blessed. And Gabriella is so excited to have a baby brother. We told Dr. Silber and Dr. Pineda this would be it, and we would not try anymore after this last attempt. We were emotionally, physically, and psychologically done. Knowing that Julie was about to turn 40, Dr. Silber decided to give us a better chance by using his insight to tweak our protocol even more, and put one extra embryo in. But our story doesn’t end there. Lucas Mueller Staley was born in June 2010. We now have two healthy boys! We truly believe that without Dr. Silber’s innovation and compassionate persistence, we would still be struggling. 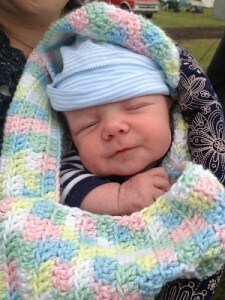 Alex, our IVF baby helped re-set everything and allow us to have our second child, Luke. Today we are blessed, more than words can say! We thank God every day! Thank you for bringing us to Dr. Silber, Dr. Pineda and their staff! So much can change in a year. At this time last year, in 2010, my husband and I had been told “by a different clinic that” we had a less than 10% chance we had less than a ten percent chance of IVF success. We had already tried three fresh IVF cycles and one frozen cycle; one ending in miscarriage, and the other three with no success. We were given very little hope but still knew we needed a second opinion. Through our online research we kept being led back to Dr. Silber’s website. Acknowledging this as a sign, we made an appointment for a consultation. Within fifteen minutes into our consultation Dr. Silber told us that we had both been misdiagnosed. We were so thankful for and impressed with the level of Dr. Silber’s expertise. He apologized for what we had been through and told us he had a plan that he thought could be successful. Dr. Silber was definitely right about our success. 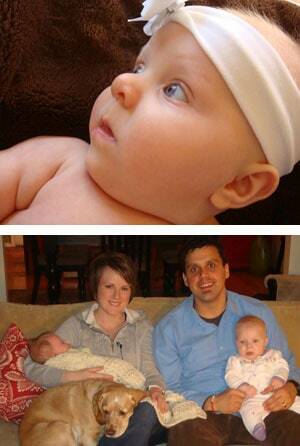 He and Dr. Pineda transferred two embryos on St. Patrick’s Day, March 17, 2010. Our two lucky charms! Exactly eight months later on November 17, our two beautiful girls were born at 37 weeks and 3 days weighing 5 lbs. 15 oz. each. 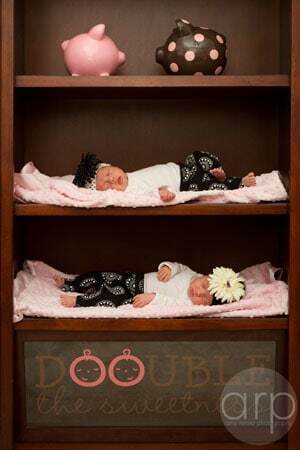 We cannot begin to thank Dr. Silber, Dr. Pineda, Karah, and the rest of the staff enough for everything they did to help bring our twin girls into the world. Our daughters are both truly miracles from God. We got married in December 1998 and started trying for a baby right away without success. A friend of mine told me she read about a doctor in St. Louis by the name of Dr. Sherman Silber. But first I opted to go for IVF in London. Over the years I had several IVF attempts in London without success. So in 2004 I gave up. Then I went to Dr. Silber in St. Louis, 9 embryos were frozen and Dr. Silber explained that my fibroid had grown tremendously and was pressing directly on my uterus. He felt the chances of an implantation taking place was thus lowered, and their freezing technique does no damage to the embryo. So he advised that Dr. DeRosa should take out the fibroid before transferring the frozen embryos. I had the surgery and waited another couple of months for the frozen embryos to be transferred. I don’t live in the US so you can imagine the stress of having to travel about 15 hours all the time. When I got a call from Dr. Silber’s office with Joan saying ‘congratulations, Remi, you are pregnant’ I just burst into tears. I have been waiting for someone to say that to me for over 11 years of trying to conceive. What can I say? It was a wonderful day. It was incredible to feel joy relief anxiety all at the same time. 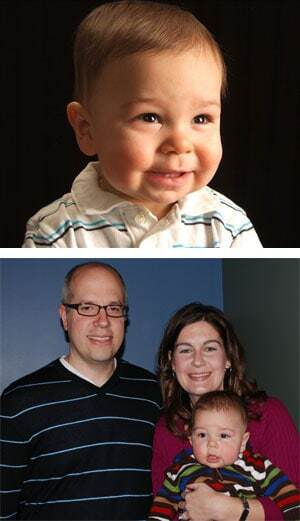 Our son, Samuel, was delivered by Dr. DeRosa in July 2008, 3 months before my 40th birthday. 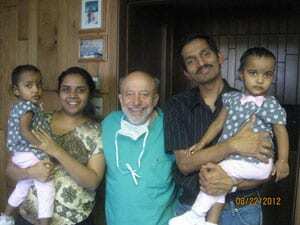 I thank Dr. Silber for his dedication to putting smiles on faces of people like us. Not many IVF doctors are like Dr. Silber because his actions and inactions tell you he is not in this for the money. He treats every patient with the same caring attitude. If you are reading this, my advice to you is perseverance. Don’t give up, you can trust Dr. Silber and Dr. DeRosa. We decided to try again as soon as possible and had two more of the frozen embryos transferred. And it worked again, for our second baby. It was lovely meeting with you in Belfast back in November. Sorry I am only getting around to e-mailing you the pictures now. Thank you so much for taking care of us. 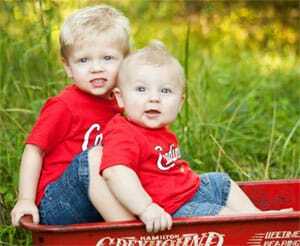 It is great that I now have the pictures to show the boys when they are older and I can tell them all about the long story of how we eventually went to St. Louis for IVF and got the beautiful babies we had wanted for so long. Tomorrow Stephen and I are going away on our first holiday together as a family with the babies and we are very excited. We are looking forward to going to America with Joshua and Logan. We feel that they might as well be American because, after all, we went all the way over there to have them and that is where they began life in St. Louis! Thanks so much for your kind letter, the beautiful pictures, and for keeping in touch. Many patients just forget about us once they have their babies, and I can understand that. But the whole reason I am in medical practice, as you well know, is the joy of hearing from people like you and seeing your joy. This is truly my only reason for working so hard to always continue to improve the medical treatments available for couples like you. You made my week when we bumped into each other in Ireland, and you made my day today with these wonderful pictures. YOU MAKE MY LIFE WITH YOUR HAPPINESS. I want to start by saying that Dr. Silber and all his staff are Amazing! My husband and I knew since the moment we met we wanted children. So after we were married for a year we started talking about starting our family. We figure maybe a month later we would be pregnant then nine months later we would have our baby and live happily ever after. Well after about 5 months we started to get worried and started having tests done to find the problem but we were only looking at me. After a year Robbie decided to get checked and we found out that he was born with a blockage of the vas deferens. A friend of mine told me about Dr. Silber, so I decided that we would go talk to him and get more information. I was scared to talk to Dr. Silber, because I was afraid that he was going to tell us that we would never have children. Dr. Silber made us feel so comfortable, he listened to our feelings and never once lead us to believe that he could do something that he couldn’t. Dr. Silber was very honest with us and reassured us that IVF would be the only way we would get pregnant. We loved that we never felt pressured into anything; we were given the facts and all the information and left to decide what we wanted. 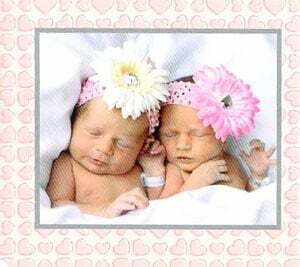 Thanks to Dr. Silber and his staff we have beautiful 20 month old twins. 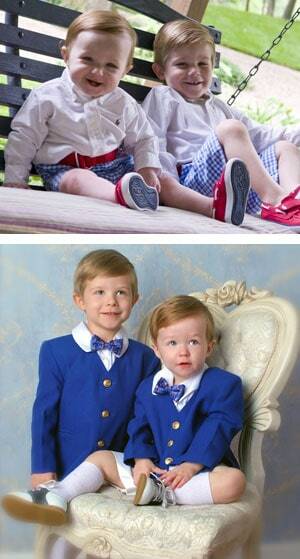 We are writing to inform you of the birth of our fraternal twin sons, Abram David and Colton Willard. They are two beautiful, healthy, happy boys. They were born on August 8 at 37 weeks and 2 days via vaginal delivery without any complications and came home with us on the 10th. They are doing wonderful and are growing and changing every day. They already have their own individual personalities. Abram is laid back, happy and smiling all the time and Colton is a character who likes to cuddle and be held all the time. We feel so blessed to be writing this letter and we know it would not be possible without you. Everyone was such a pleasure to work with, especially Dena, our IVF consultant who we received the good news from! We cannot thank you all enough! you have helped make our dream come true of having a family and we will never forget you. We were first introduced to Dr. Silber by a friend of Ashley’s who was an employee of Dr. Silber’s. From the very first appointment with Dr. Silber, we were very impressed with him and his staff. We were treated as a high priority with care and respect. Through a second round of IVF we conceived a beautiful little blessing known as Georgia Lou Powell. Without the Lord, Dr. Silber, and his amazing staff we would not have our beautiful baby girl. My name is Denise and my husband’s name is Scot. Four years ago, we met in Rio de Janeiro, where I am from originally. Since my husband has cystic fibrosis, we knew it would be difficult for us to have any children naturally, if we were to get married. Despite this, we were married three and a half years ago. When it came the time to make a decision about having a baby, we struggled with the choice of trying IVF or adoption. Initially, our decision was the adoption route, but at the last minute, I had a change of heart. I told my husband I really thought we should try IVF or else we would never know if we would have been able to have a child of our own. At the time, I was 37 years old, adding to our difficulties. Once we committed to trying IVF, we met with Dr. Silber and his staff to begin the process. 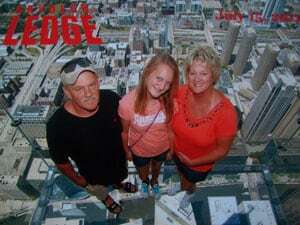 We endured the whole process of the medication regime, injection schedules, and the anxiety that accompanies it all. When our retrieval date arrived, not only were we very nervous, but we ran into more problems. Dr. Silber discovered my husband had a congenital defect, making the sperm retrieval difficult. After some searching, he was able to retrieve two sperm from my husband. From me, they were able to retrieve only two eggs. After fertilization, we learned that we only had one viable embryo to implant. Despite our low odds, I never gave up hope. My mom in Brazil would keep telling me that everything was going well and she knew for certain that I would get pregnant. I truly believed in what she told me. I can not describe the feeling of joy I had when I was told by Dena that I was pregnant. Even now, writing our story brings many, many tears to my eyes. It is a blessing to be able to look at our beautiful, healthy daughter Giovanna everyday and I encourage anyone to try because it is the most wonderful feeling one can have. We are so grateful to Dr. Silber and his staff for helping us start our family. Our family cannot say enough wonderful things about Dr. Silber and his entire team. We had struggled with infertility for several years before we saw Dr. Silber on the Discovery Channel television show “Baby Lab”. We made the trip to St. Louis from Kansas to meet with Dr. Silber and discuss our options. We left our meeting feeling encouraged and hopeful. We quickly scheduled our IVF procedure. We couldn’t wait to see if this would be the end of our journey with infertility. We will never forget the JOY of that first positive pregnancy test! It seemed as if our family was now going to be complete and we couldn’t imagine being any happier. 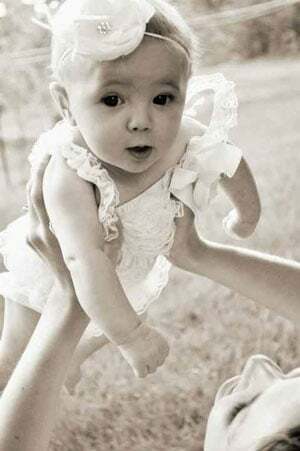 Little did we know that three months into our pregnancy we would receive a phone call from an adoption agency asking if we would like to adopt a baby girl. After the shock subsided, we happily said “YES”! 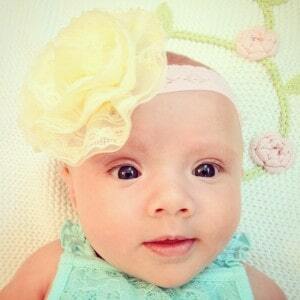 I was six months pregnant when our daughter Elizabeth Joy was born. 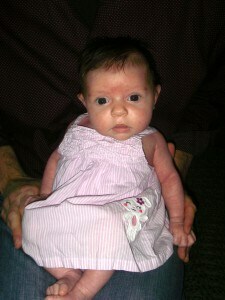 Four months later, I delivered a healthy and beautiful baby girl we named Annie Joy. We are blessed beyond measure to have TWO beautiful daughters. Thank you to Dr. Silber and his team for helping make our dreams come true! In our 20s and early 30s, the last thought on our minds was infertility. Most doctors just told us to keep trying and be patient. After 2 years and a recommendation from family friends, we went to see Dr. Silber and his team. We could hardly believe that such a world renowned infertility doctor was right in our area! After sitting down with Dr. Silber, we finally felt like we had some answers. Although IVF was not our dream, he gave us hope. His team was so patient in explaining each aspect of the process. In May of 2009 we gave birth to our first child, a son. He is more than we could have ever imagined. Our little family of 3 couldn’t be happier. We cannot say thank you enough to Dr. Silber, Dr. DeRosa, and all of the staff. When we are ready for a bigger family, we will definitely be back to see you! If you have to go through IVF, Dr. Silber is the doctor that you want to go to. He is world renowned. People come from all over to seek out his expertise. I can’t thank him enough for all that he has done for my family. 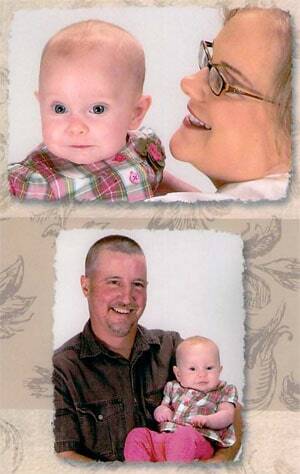 Jason and I started trying to have a baby just few months after we were married in 2004. As the months went by and we weren’t having any luck, I got sick. I developed a tumor on my left ovary and had to have surgery. Due to the nature of my tumor, surgeons removed my left ovary and my left fallopian tube. During the surgery, it was discovered that I had tumors growing on my right ovary. Luckily, the doctors only had to remove half of this ovary. Once I healed, Jason and I started looking into our options for conceiving a child. I had only one half of one ovary. Jason had given a sperm sample to make sure everything was working on his end. Turns out, it wasn’t. We saw countless urology specialists and it looked like there weren’t any options for us that didn’t involve getting extra help. After getting Dr. Silber’s name from my gynecologist, we made the appointment to meet with him. He listened to our situation and recommended that we think about IVF. We took home the packet of information, read through it all, and watched the DVD to help us better understand the process. Since this was a huge financial endeavor, we weighed our options to go through with IVF or try adopting. We knew that we had to give it a try if it was possible to have our own child. I had few eggs and my husband had few sperm. We began the process with a sense of excitement and the worry that it might not work. As part of Dr. Silber’s requirements, Jason had to have a blood test for Dr. Silber to learn more about his make up. We were dealt another blow when we learned that Jason was a carrier for a genetic defect that could end my pregnancy if I did get pregnant. At this point, we didn’t know what to do. We decided to keep going. Dr. Silber recommended that we could have a special test done on the embryos to determine which ones would have the genetic defect. On the day we were scheduled to have our transfer, we got all of the results from the genetic testing. Four of my eggs were no good. Seven of the embryos carried the genetic defect. That only left us with four embryos. Not as many as we had hoped, but it was something. Dr. Silber came in and showed us the pictures of our four embryos. He even told us the gender of each one, three boys and one girl. We were still waiting on the results of one of the embryos, so Dr. Silber thought it would be best to put in two of the three boy ones. Jason and I were so excited! We thought for sure that this was going to work. Later, we went back for my blood test to find out the good news. Jason and I were driving in the car, so we pulled off and listened to our results on speaker phone. “I’m so sorry. You’re not pregnant.” We were shocked. I immediately burst into tears. I couldn’t stop smiling. I was so convinced I wasn’t pregnant and to find out I really was realize my prayers had been answered. 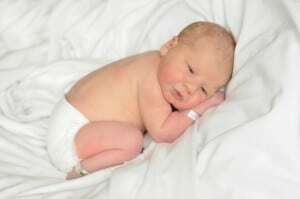 Our son, Lachlan, was born March 13, 2008. We just celebrated his 2nd birthday. Every day Jason and I look at him and are so grateful that he is here with us. He is truly a miracle. We owe thanks to God, Dr. Silber, and his staff for all that has been given us. Lachlan is especially a miracle to us because I had to undergo a hysterectomy in June of 2009. He is our joy and our blessing. Jason, Beth, and Lachlan K.
It was a year ago this month that we had the frozen embryo transfer that successfully blessed us with our fraternal twin daughters in December 2010. We began our journey with Dr. Silber in January 2010 after dealing with unexplained infertility and undergoing 7 failed IUI attempts and a miscarriage treated elsewhere. We both wanted to grow our family and give our children siblings to grow up with. After a consultation with Dr. Silber he confirmed that we would be good candidates for mini-IVF. We wanted to delay this process for about 6 months after that initial consultation, but once we were ready, so was Dr. Silber’s team. We are so grateful to Dr. Silber, Dr. Pineda and all of their staff for the excellent treatment we received during the entire process. They made a difficult and emotional time easier to handle with their care, concern and professionalism. Whenever I had a question, big or small, I could call and was always made to feel like my question mattered and was important. I would recommend them to anyone experiencing infertility. How do you thank someone for helping you achieve one of the biggest life dreams one can have… being parents now for the second time. Words cannot express this gratitude. But the smiles on our children’s faces are a constant reminder of the wonderful people at Dr. Silber’s clinic that helped make our dream a reality. I have four children and as they grew up and became teenagers I decided to try to have just one more, at a later age in life. We tried for three years and no luck. I decided to go to my OBGYN and get a full work up. I figured I would just have to do maybe a few things but it would be OK. Well that was not the case. My OBGYN told me I was very healthy but, I would never be able to become pregnant. I was heartbroken and I did not know what my next step was, if I even had a next step. That was when I read about Dr. Sherman Silber! I had done a lot of research on IVF doctors as well as the procedure. I was unsure if it would work for me or not but, I was willing to give it a shot. I called Dr. Silber’s office and with in three days I had a packet with all the information as well as DVDs to get me started. After looking it over with my husband and talking about every aspect of the procedure and financial obligations, we decided we could take the next step and make a appointment. We made an appointment for a consultation with Dr. Silber and from the moment we came in to that office, we had a wonderful experience. His staff was wonderful and they treated us like family! They genuinely cared about your struggle to conceive and were grateful that we had chosen them to help us. 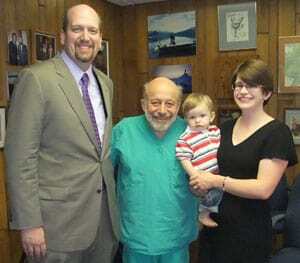 We met with Dr. Silber personally in his office and my husband and I where very impressed with him. Dr. Silber was very thorough and covered all information regarding me and what IVF entailed. We where given plenty of time to make a decision and we never felt like it was something pushed on us from their office. They treated it just as it was: a big decision! We discussed it and after long review we decided to go forward. I was given a personal nurse who I would call a dear friend to work with. I felt that if I did not get pregnant it would not be because of lack of great physicians or care but because God had already decided that for me. After all, another child would have been a bonus seeing that I had four healthy children already. We called the office nervously 2 weeks after the embryo transfer for our test results and where given the wonderful news that we were pregnant. We were so nervous to hear the second follow up test was again positive, and they thought it was even possible we might be carrying more than one because my hormones where so high. 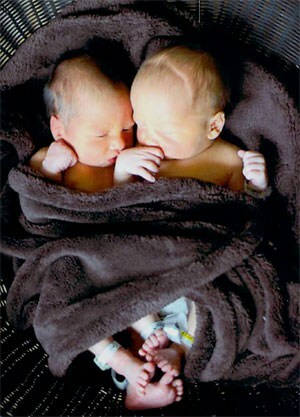 We followed up four weeks later with Dr. De Rosa and found out we indeed were pregnant and with healthy twins. We are so truly grateful to Dr. Silber and Dr. De Rosa as well as their staff because they gave us love, kindness and the blessing of two beautiful twin boys. My husband and I would highly recommend Dr. Silber to anyone with conceiving issues. If you are trying to become pregnant and you are losing hope, I suggest you start with Dr. Silber. Thank you Dr. Silber, we are very grateful! Words cannot express our gratitude for all you have done for us and all you do for those experiencing fertility problems. Thank you so much and God bless all of you. Thank you for your excellent care, your patience, your support, giving us hope and being God’s hands in working to give our boys life. After I lost my ovary due to ovarian torsion, we soon realized we would not be able to have children without medical treatment. We began treatment closer to home, and the people at that clinic were very nice, but we felt hopeless and lost after every disappointing visit. Way too early in the process we were told we may need to look into donor eggs and to start thinking about who we may ask. We were emotionally drained and the continued treatments that carried low chances of success were wearing on us. Our outlook changed after our first visit with your clinic. Although no guarantees were given – we had hope. You also provided us with a plan and gave us hope that if Plan A didn’t work, you would stick with us and we would explore other options. Your process was structured and detailed so we knew what to expect and what to do next. You were always available for questions. After receiving your outstanding care, and thanks to the care of our local OB/GYN, God blessed us with our first son as a result of IVF and later a second son after a frozen embryo transfer. In 2004 we began the process of trying to conceive. We knew the road would be hard and the odds were stacked against us as at the age of thirty three I was struggling with a very low ovarian reserve. In 2005 we sought out the help of another fertility clinic and our first IVF cycle was both painful and devastating, the result, just one egg. By knowing that the chances of our conceiving were less that 10% I was ready to stop after the first attempt. Through my husbands urging we decided to try one more time. Through many tears and a lot of prayer an image came to my mind of a book by Dr. Sherman Silber that I had read a decade earlier on how to get pregnant, of course I immediately did an internet search and realized his clinic was under two hours from where we lived, I called that very moment. Dr. Silber’s staff was amazing and guided us through the steps we needed prior to our appointment time with Dr. Silber. That very appointment changed our lives forever! Dr. Silber gave us hope in a time when I personally had little. 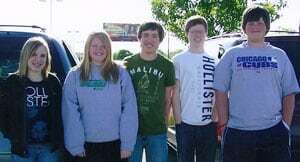 I realized at that moment we were exactly where God intended us to be and that if anyone could help us Dr. Silber could. Needless to say during our treatment with Dr. Silber not only did my follicle count increase from nine to fifteen, Dr. Silber and Dr. DeRosa were able to retrieve ten eggs. 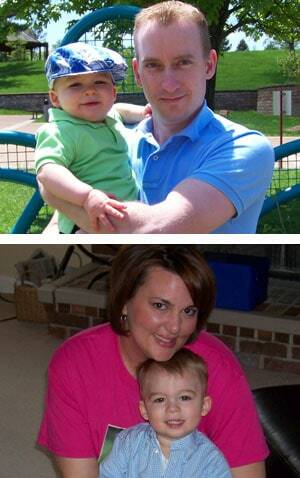 Joyfully in September of 2006 we delivered two very healthy babies, William Richard and Isabel Lynne Sapp! We can never thank you enough for helping us conceive our children! May the Lord continue to bless your work and may the families that seek you out know they are in great hands! We have a miracle story to share about our path to having two beautiful angels. We were trying to have a baby for around an year and nothing happened. Our OB/GYN didn’t ask us to perform any initial testing when we decided on having a family. So after seeing no results, we were asked to do some tests and we were shocked to find that my husband had no sperm, and I too poor ovulation. We happened to see the book – How to Get Pregnant by Dr. Silber from the library and found a ray of hope. The book itself gave us tremendous information regarding the options we have that that itself helped us to have a faith in Dr. Silber. We called this office and luckily got the first appointment within a week. We took the latest test results with us. Meeting with Dr. Silber was very pleasant and exciting and he assured that we can have a successful IVF. We decided to go ahead with the dates for the IVF on the same day. We were assigned with a co-coordinator who was really helpful in getting us thorough the journey answering our numerous questions promptly and patiently. The entire communication with Dr. Silber’s office was very prompt and helpful. We took the training on how to inject the IVF medications from hospital as well. On the day of egg retrieval, my husband was scheduled for MESA procedure to retrieve sperm and Dr. Silber himself performed the operation. Thankfully it was very successful and then it was my turn for egg retrieval. Dr. Pineda assisted Dr. Silber with every procedure. There were only 3 eggs that fertilized correctly because of my low egg count and my husband’s low amount of sperm. We were filled with blissful happiness on the day we heard the positive news from Dr. Silber that I was pregnant. 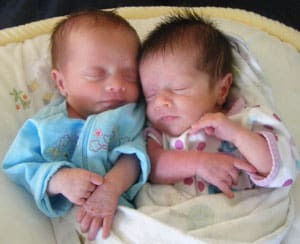 The joy was compounded a zillion times when we learned from our OB/GYN that we were having identical twins. We are very thankful for the great service from each and every one from Dr. Silber’s office. And we are thankful to the Universe for blessing us twice with two beautiful angels! Dr. Silber, you are the best! 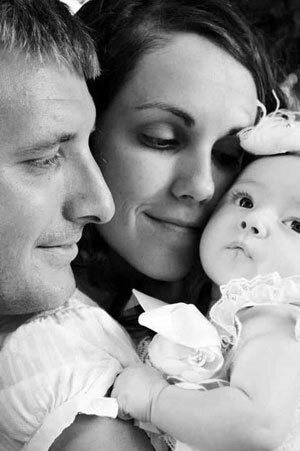 Before we came to Dr. Silber, we had had several failed attempts with IUI, and one failed IVF cycle. After the last failed IVF cycle at a different center, we were told that we would not have any chance of having our own child unless we had donor eggs and donor sperms. I refused to take this option (somehow I just knew that we could still have a chance). But, being drained from emotional pain and physical pain (lot of tests done at this center), I decided to put on hold our plan of seeking any further treatments. A year after this painful experience, my husband told me that he would like us to try again. I told him that I would pray to God and I would let him know my decision. I started my research for a different doctor online. I found Dr. Silbers website. I read many of his articles, his background and achievements. I also read many patients testimonials from the website. When I read the testimonies, I knew they were true but my thought was these were miracles and they might not happen to me. But, one thing that helped me to decide to see Dr. Silber was his method of mini IVF cycles. I thought this treatment would be more appropriate for me (I was 40 years old with only one ovary). My husband and I met with Dr. Silber and he explained the procedures to us. Everything was simpler than I thought (no painful test, just ultrasounds). We signed up immediately and walked out his office with full of hope. After 3 mini IVF cycles, we had four good embryos stored. We decided to go forward with the transfer. I had two embryos transferred and one did take. We welcomed our miracle baby girl (Evelyn) on March 27 of this year. Our daughter is truly a miracle which only by Gods grace that we can get. We are so thankful for the dedication of Dr. Silber and his staffs to help people like us to have our dream of being parents to come true. My husband and I tried to become pregnant for approximately 2 years and we were becoming physically and emotionally let down. After several unsuccessful attempts of artificial insemination we were losing HOPE. 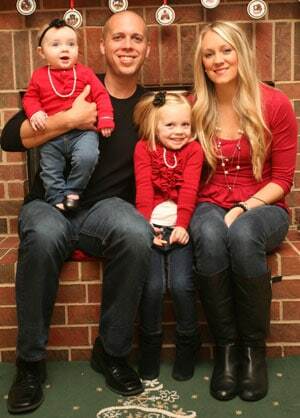 We were then referred to Dr. Silber and the Infertility Center of St. Louis. After meeting with Dr. Silber and his team, we gained a sense of HOPE which was almost lost. Dr. Silber and his staff were extremely personable and answered all our questions. 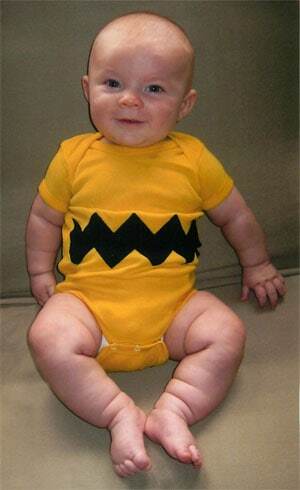 We then decided to fulfill our dreams of having a baby and entered the wonderful world of IVF. 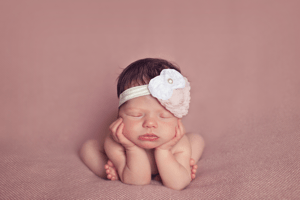 During the IVF process, my body did not respond exactly to the shots as HOPED, however Dr. Silber reinforced our confidence and gave us the words that we needed. Several weeks later we were given the exciting news that we were pregnant. Charli Renee is now 7 months old. We thank God often for our chance to become parents and for the medical skills of Dr. Silber and Dr. DeRosa. We just wanted to share our story and to let those know who may be having trouble getting pregnant, that there is HOPE and that it comes in the form of Dr. Silber and his staff. 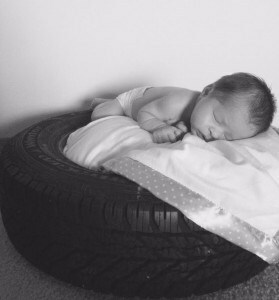 My husband and I tried for years to try for a baby, and was having no hope. Until one day my sister told me about Dr. Silber, she said how good he is, and how the staff is friendly, and caring. She went to him and had great success. So I called Dr. Silber’s office, they gave me all the information I needed. Everyone was there for us, answering all our questions, and they were great at returning our phone calls right away. My husband and I are high school sweethearts who wanted to start our family not long after we were married. I don’t know why, but I had a feeling that it would be hard for us. After about a year of trying to get pregnant I went to my OB doctor to see if something was wrong. It was determined that I may have a condition called polycystic ovarian syndrome which causes me not to ovulate regularly. Then it was my husband’s turn to get checked out. We were shocked to find out that his sperm count was only ONE, especially when a normal count is like twenty million! My husband was a normal healthy 32 year old man with no history of childhood illness or injuries. We visited several urologists who told us that he is young and suggested he take some expensive vitamins and wait to see if they help. Then we went to a local reproductive endocrinologist who told us that if I wanted to become pregnant I would need a sperm donor because my husband had nothing to work with. This was hard to hear and very discouraging. Instead of continuing to “try” for a baby we just started praying and saving money. I wasn’t sure what we were going to do but I knew it would be expensive! We looked into foster parenting, adoption, sperm donors and IVF. Meanwhile everyone I knew, worked with, and was related to was pregnant! I was happy for them, but at the same time sad for myself. I had days where I wondered if I’d ever be a mom, but deep down I always had this peace that God gave me that we would eventually be parents. We were married October 3, 2009 and always dreamed of settling down and having kids right away but never thought it would be so difficult. After a year of trying, we decided to meet with my OB/GYN, Dr. Sarah Shores. She performed various tests and recommended that I try Clomid. Unfortunately, three rounds of Clomid later we were still unsuccessful so Dr. Shores recommended we set up a consult with Dr. Michael De Rosa, another doctor within the practice. Our consult went fantastic, he could not have been nicer and explained everything in a way that made complete sense. He told us that we would have a higher success rate going with IVF over an IUI. Being such a big decision of course my husband and I would have to spend some time thinking about it. After considering everything working against us, we decided to go with the most effective method, IVF. That’s when we met Dr. Sherman Silber and his amazing staff. Our first consult was very exciting yet nerve wracking at the same time. We waited 3 years for this and were desperate to finally get some good news. Dr. Silber insured us that everything was going to be just fine and this is our best chance of having kids. Dr. Silber and his staff were extremely helpful and gently walked us through the entire process. I talked to one member of his staff, Dena, almost everyday through phone or email. She made this process way too easy for us and I knew she was with us for the long haul. When the time came for the implantation, we were unbelievably happy and giddy with excitement. Don’t get me wrong, we were also very nervous; I mean, who wouldn’t be? 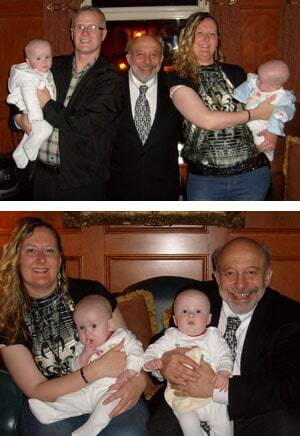 Dr. Silber transferred two fertilized embryos on October 6, 2011. We then had to wait 2 excruciatingly long weeks until we knew whether the implantation had been successful. I was extremely nervous when I finally went in for my blood work but I knew that everything was going to be alright. Later Dena called and said, “Oh yes! You’re pregnant!” We still can’t put into words how excited that phone call made us. We were going to be parents. Nine months later, Mathew James Carlton was born on June 30, 2012. Not surprising, he was a week late! Mathew weighed in at 8 lbs. 3 oz. and over 24 inches tall! Until that day, we had only dreamed of being able to hold our own baby, in our own hands. My thanks go out to Dr. Silber and his staff. They were the ones that made this happen. We are so grateful for everything that they’ve done. Having finally reached the conclusion of this process, we are already looking towards round two! Just keep in mind that if anyone else is going through infertility issues, there is hope with Dr. Silber and his amazing staff. We cannot express in words how thankful we are to have the opportunity to meet and work with you. 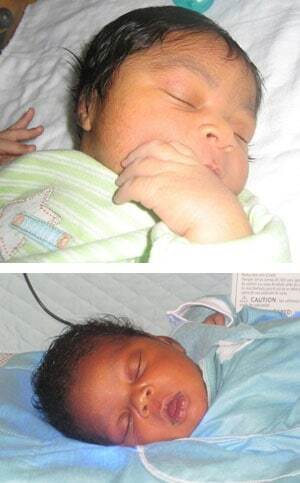 We thank God for the two blessings you have helped us make with the Mini IVF procedure. The road was long and hard (PCOS and unexplained infertility) but choosing you both before all other doctors made this process a lot easier. There are no guarantees when it comes to infertility but you and your staff comforted and helped us each step of the way. If I had to do it over again, I wouldn’t change a thing. I’d still pray to God that if He wanted us to have a baby we would and if not that it would not happen. I’d try to relax and let your staff and nurses worry for me like they said they would. I’d know that I’m not the only one dealing with infertility and hormones and that other couples are struggling also. I’d write this letter even if we were not successful because you both are amazing people with a wonderful gift who do great things. Thank you for the chance to have our little ones and God Bless. We are beyond grateful for your gift of hope, support, and fertility. On April 23rd, 2012 we welcomed our second daughter Macy Lou. After having our first daughter through IVF, in our home state, we hoped to have a second child but we struggled with if we should do the IVF process all over again. After one conversation with Dr. De Rosa, we knew we’d be traveling to St. Louis for one more attempt. Through all the ups and downs of this detailed process we believed through all your support, knowledge, and confidence that we would be blessed again. On our daughters second birthday we found out we’d be becoming a family of 4!! Thank you for utilizing your skills and talent to create life. We’re forever grateful. My husband and I tried for nearly three years to make our dreams of having a family come true. We always knew that we wanted to have children and I couldn’t picture my future without them. We tried on our own for about 8 months. From the beginning we knew we were going to have struggles, but we never could have imagined how tough they would be. My periods have never been regular and there were many months that would pass when I wouldn’t even have a period. I always attributed my irregularity to sports and working out. After becoming frustrated and hopeless, we decided to go to an infertility specialist in the area. My husband and I had many tests done to check his sperm and my eggs. Although I didn’t ovulate on my own, there were no other problems to be found. I started taking FSH and having my follicles monitored to determine when they were mature. Everything in me worked perfectly fine with the help of FSH. We tried numerous IUI attempts, but all of them failed. There was no explained reason, but they just kept failing. One of the hardest parts for me to handle emotionally was that after a failed IUI attempt, we would have to take a month off of trying and I had to take birth control because I always had cysts left in my ovaries. After the month off of trying and “shutting down” my system, we would try again. We completed 9 IUI attempts in all. At our consultation we were paired with Dena, our IVF coordinator. She was more than supportive during this whole process. My husband and I reserved our spot for the April IVF cycle. We had so many emotions running through us – excited, scared, hopeful, worried, etc. On April 15th our embryos were created. Two of them were transferred back into me three days later and a few weeks after that I received the best email of my life. I had asked Dena to send me an email when she received the results because I’m not able to answer my phone at work. When I opened the email the subject said “CONGRATULATIONS” and the first line read “You are PREGNANT! !” For a moment my world stopped and I knew my life would never be the same. 41 weeks later (Yes, he was a little late in coming out!) my husband and I welcome our little miracle, Liam, into the world. THANK YOU to Dr. Silber, Dr. De Rosa, and all of the staff (especially Dena and Molly) for making our dreams come true! I was told a long time ago that getting pregnant would be difficult, due to my irregularity, and thus began my fear of not being able to have children. Over 4 long years, 3 unsuccessful IUI’s, 2 pregnancy losses, and pools of tears, we finally turned to Dr. Silber. During the first consultation/ultrasound, I was finally diagnosed with Polycystic Ovary Syndrome (PCOS.). We were told, “Dr. Silber loves his PCOS patients, lots of eggs!” Let me tell you, the difference in tone that this statement had from previous doctors; and the relief that came from finally understanding what was going on with my body. Dr. Silber and Dr. DeRosa told us “of course you can have a healthy pregnancy.” They just seemed so certain, I was skeptical – but optimistic. Clearly, this was a pretty difficult task at that time and state of mind. Before starting IVF, we got rid of the many troublesome “old” eggs, and began the tricky business of making the right amount of new ones while balancing meds and PCOS. When the procedure didn’t work after the first implantation, I was pleased with a different approach for the second try. It meant Dr. Silber had put thought into my situation, and understood hope was delicate. For the second try, we did a more drastic ZIFT procedure to implant the leftover frozen embryos – and finally success! All the medical procedures at St. Luke’s hospital were flawless (Dr. Silber’s patients are treated as priority.) The entire staff was always responsive and understanding. I owe much of my good experience to our coordinator, Dena. I cannot describe to people who haven’t experienced infertility; the despair that comes with wanting a baby (needing really) yet not being able to have one, the emotional whiplash from continued pregnancy losses, and then the sheer paranoia of EVERYTHING once pregnant. But, if you are reading this, I know I’m preaching to the choir. I can truthfully say to you, I would go through it all again (and more) without a second thought, if it meant I could have my son. We are head over heels in love with our little guy, David, and we cannot put into words the amount of gratitude that we have for Dr. Silber, Dr. DeRosa and staff. I truly realize I am one of the lucky ones, and promise to never take this for granted. You’ll enjoy this comment from my mom to David, upon seeing him for the first time, “you mean you were in the freezer!” I guess he was. Thankfully he’s here now. Even as a teenager, I had the feeling I would not have an easy time of becoming a parent. When my husband and I first started trying to have a family, not long after we were married, we were disappointed when it did not seem to happen quickly. Those around us assured us that, it just takes time and to relax. Well, almost 8 years down the road, fertility drugs and several IUI’s later, we thought that we were never going to be parents. After our last failed IUI, I started looking for other solutions to our dilemma. I came across Dr. Silber’s site and was so happy to read all of the positive comments. So that day, my husband and I set up a consult with Dr. Silber. The day of the consult, I was so nervous that Dr. Silber would say there was nothing he could do and that our dream of becoming parents would never come true. But, he was so reassuring and walked us through exactly the plan for our case. He was the first person to give us the hope and belief that we would become parents. 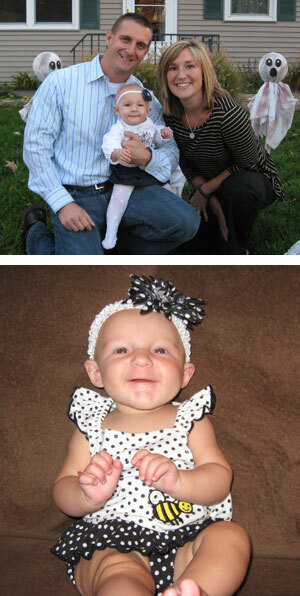 Dr. Silber and his staff made the IVF so easy for us, even at 200 miles from the clinic. We were able to start the process at home and traveled to St. Louis for a week and a half for the procedure itself. Dr. Silber and Dr. DeRosa were so calm and reassuring for both my husband and I through the whole process. The staff was also wonderful to answer all questions that we had throughout the procedure. After the procedure, we traveled back home and waited the two long weeks before testing. Late April, early May of 2012 we found out that we were indeed going to be parents and we were ecstatic! The staff was just as excited for us and continued to check in on us, long after we were with a normal OB. 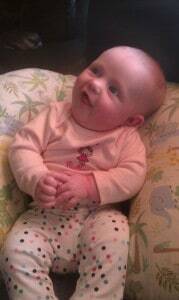 On January 1st, 2013, our beautiful daughter, Braelyn Abigail Hensley entered the world and changed ours forever! We thank Dr. Silber, Dr. DeRosa and all their wonderful staff for the love, support and encouragement throughout the process. We hope to add to our family with our remaining embryos very soon! John and I met in 2003 and married in 2006. When we married having children was not immediately on our minds as we were still young. However, when we decided to start trying we knew we would have difficulty as my husband was being treated for a kidney disease and was on very strong medication that halted the production of his sperm. Luckily we were quickly introduced to Dr. Silber and we felt very confident that he would make our dreams come true. We became pregnant on our first round of IVF but unfortunately miscarried around 12 weeks. We tried again as soon as we were able but it didn’t work, so we tried again. At this time I remember being extremely sad and frustrated but something Dr. Silber said to me on the day of my implantation stuck with me. He said you must be persistent, if you are patient and persistent you WILL get the outcome that you want! So many questions and thoughts were running through our minds but I remembered that Dr. Silber said we needed to be persistent. When we were ready, we tried again, this time knowing we had a guardian angel watching over us every step we take. Our daughter, Julianna was born in December 2012. She is the absolute joy of our lives and we can’t thank Dr. Silber and his entire staff (especially Dena) for all of the support. As I type this, we are looking to start this process once again to grow our family!!! We are one of those odd couples…. My husband and I have a 24 year age difference. When we got married we planned to make a family. My husband has 3 children from a previous marriage, but had long since had a vasectomy. The vasectomy surgery had been close to 20 years ago. 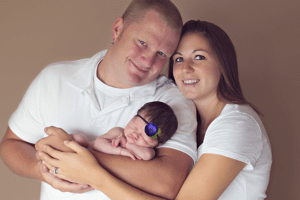 After vasectomy reversal, my husband’s sperm count was inadequate for us to become pregnant, so we saw Dr. Silber and scheduled IVF. We returned to Dr. Silber’s office and received information on In Vitro Fertilization. We were placed on the ‘waiting list’ and told we would be contacted in the next few months. Much to our surprise we got a call about a month later that there was an opening, and we jumped at the opportunity! Taking the medication injections was hard for me as I am terrified of needles. But, my husband’s calming voice telling me how wonderful our baby would be helped me through these moments of discomfort. January finally came, and along with it our target dates for egg retrieval and embryo placement. I was terrified about the procedures, but the nurses and staff were wonderful about explaining things and they put me at ease. After the embryo placement, we were overjoyed when we learned we were now expecting our first child! Our beautiful baby boy was born in October, 2013 at St. Luke’s Hospital. 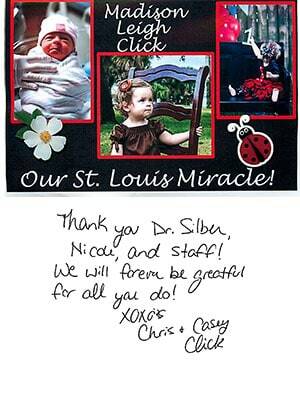 We owe our ‘ Miracle Baby’ to Dr. Silber, his office, our case worker Nicole (thank you for all you have done! ), and Dr. Silber’s wonderful and helpful staff at St. Luke’s Hospital. Words cannot describe how happy we are! Thank you so much for helping us become parents! 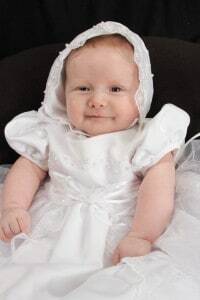 Thanks to Dr. Silber and his outstanding staff at the Infertility Center of St. Louis, our beautiful and healthy baby girl was born on July 23, 2013! Our infertility journey began the day we were told we would never be able to have our own biological child without the help of In Vitro Fertilization. My husband was born without his Vas Deferens tube, leading to a 0% chance that we could ever conceive naturally. He would need a surgery to remove his sperm. We endured 2 failed IVF attempts at another infertility clinic. We were exhausted, devastated and running out of hope. This is when we found Dr. Silber. After our first meeting with Dr. Silber, we knew that he would make our dream of having our own biological child come true. He was knowledgeable and honest. He gave us statistics and percentages. He also educated us on the specifics of my husband’s surgery and as it turned out, he does the surgery completely different than the previous infertility clinic. 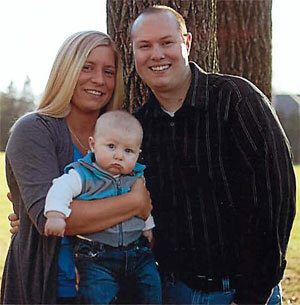 His approach to male infertility is completely different than any other clinic in St. Louis. We know this is the reason our IVF attempt with Dr. Silber was successful! From the start of IVF to the last step, we had a great experience and were able to remain positive and hopeful! The staff was extremely patient and helpful. The process was individualized for our needs and we weren’t just a “number.” There are no words to express our gratitude to Dr. Silber and his staff. We look forward to returning for baby #2 in the future! Thank you Dr. DeRosa and Dr. Silber! The most amazing feeling we have ever experienced was holding our daughter for the first time. From the second we held her in our arms, the six long years we waited for her were worth the wait. This was all thanks to Dr. Silber and his staff. My husband and I met in High School and married shortly after college. When we decided to try to start a family, we never thought that we would have any problems. We first went to a local infertility center and had such a horrible experience. There was no compassion, no explanations about anything, they would not listen to what we wanted, and even left our infertility diagnosis on a voicemail! Very disheartened we started to look at other options thinking that pregnancy for us would never happen. My aunt happened to be watching the Discovery Health Channel one day when The Baby Lab Documentary came on. Knowing our situation she contacted my mother who let us know about Dr. Silber. We decided to go see Dr. Silber for a second opinion, and we are glad we did. From our first meeting Dr. Silber and his staff were so compassionate, listened to us and made us feel so at ease and gave us back the hope that we could one day become parents. In March of 2009 we were all set up to do an IVF procedure but had to cancel due to both of us losing our jobs. In August of 2012 we tried again, we were able to get to the egg retrieval stage but due to some complications had to stop again. In May of 2013 on our 10 year wedding anniversary we finally were able to do the IVF procedure we had looked so forward to. Two weeks later Dina told us those wonderful words “Congratulations, you’re pregnant”. 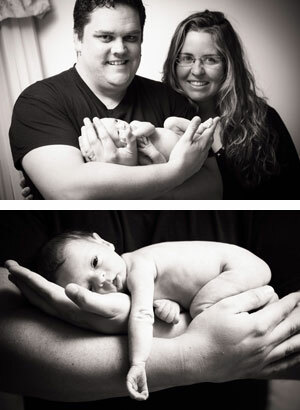 In February of 2014 our daughter Christine was born and we were able to finally hold our dream in our hands. There will never be anything we could ever do or say that would adequately express our gratitude to them for helping us become Christine’s Mom and Dad. We look forward to the day we are able to come back to make her a big sister! When my husband and I married in 2010, we decided we wanted children, but had no success. After reading Dr. Silber’s book How to Get Pregnant, it dawned on me that I may never know why I wasn’t getting pregnant, but obviously the infertility treatments were not working and I decided that IVF may be my only chance of getting pregnant. In July of 2013 I started with IVF procedures and learned after my retrieval that I was not getting pregnant because I made very few If any eggs, and I likely would have never known this if I didn’t have IVF. I was relieved to learn why I wasn’t getting pregnant, but was nervous after the retrieval when I learned that Dr. Silber had only extracted 4 eggs. But of course, he is a real expert at helping couples with very few eggs. To my surprise, all 4 eggs fertilized and I learned on September 2, 2013 that I was pregnant. On May 9th, 2014, Alyxandria Rose was born. She is a beautiful and thriving baby and is absolutely the joy of our lives. My husband and I are forever grateful to Dr. Silber, Dr. Pineda, Nicole our coordinator, and the rest of the Dr. Silber’s team that made our little miracle possible. Thank you so very much! My husband and I started to try for a baby right after we were married. After a year of trying, we knew we would need some help. This was a hard pill to swallow but we were ready to do anything. We did a few rounds if IUI with my OBGYN with no luck. After two years of no success and two miscarriages, we looked into a fertility specialist. We went to a clinic in St. Louis and went through a few more rounds of IUI and then two rounds of Invitro. Everything seemed to be failing and we were given the diagnosis of unexplained infertility which can be the most frustrating of all. At this point we felt pretty much hopeless that we were going to be able to have our own children. I started looking into adoption and even wondered how we could fulfill life without children. I talked with a good friend who had had a baby through IVF and decided to set up a consultation with her doctor, Dr. Sherman Silber. We set up a consultation with him to see what he had to say. I was still not sure if I could go through another round of IVF because the two failures before were so hard on me. We will never forget what Dr. Silber said in our first meeting. “We will get you a baby!” From that point on we knew he was the doctor for us. I cannot say enough about the staff. Everyone was amazing and so helpful. My coordinator Nicole was absolutely a breath of fresh air. I felt I could ask her anything and it almost felt like I was talking with a friend. We felt so comfortable with everyone that it made the process pretty stress free….even with the mass amount of shots! We are so happy to say that our mini IVF procedure with Dr. Silber was a success! Even though it took five years, we now have a beautiful baby boy named Lawson Robert. He is so perfect and we will forever be grateful to Dr. Silber and his team.